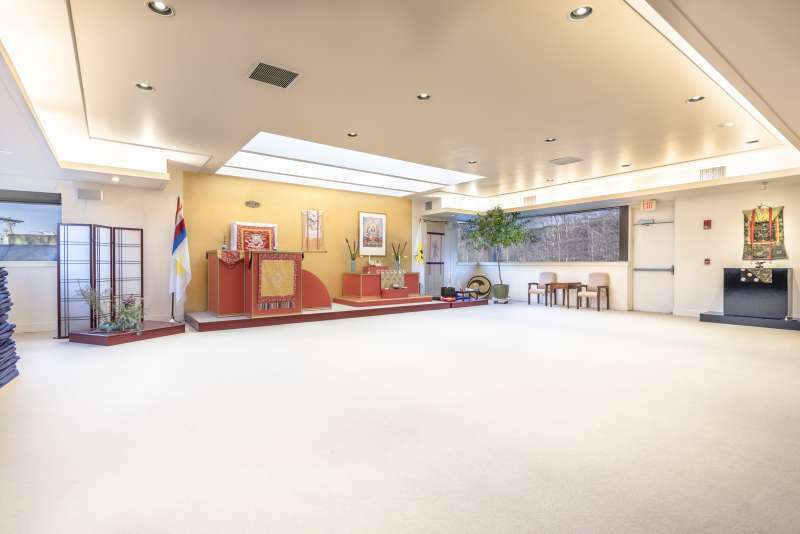 The Shambhala Meditation Center of Boston has two meditation halls that offer uplifted, open space for meditation practice, yoga, tai chi, related contemplative disciplines, conferences and meetings. Also located within our two story building are offices, interview rooms, a community space, and kitchen facilities. We are pleased to offer short-term and ongoing rentals of facilities to organizations and individuals. Please call for more information about rentals for weddings & celebrations, workshops, retreats and meetings. Spaces are available for hourly or daily rentals. The Large Shrine room is equipped with microphones and sound equipment. Use of the Kitchen is an extra fee.